I was recently asked by an Industry Excel expert what made Excel such a compelling product for Business Intelligence, Reporting and Analysis. As many people know, I have worked in IT as well as commercial business roles over the years, so I have seen ‘both sides’ of the story and hence I am qualified to understand the things that can go wrong between these departments. Big complex software projects (like an SAP implementation) necessarily require specialist IT staff to work with commercial business staff to develop people, process and technology solutions that will solve business problems. These projects are highly complex, expensive, time consuming and risky by their very nature. It is not unusual for such a project to last 3-5 years and cost 10s of millions of dollars – more in very large organisations. Traditional BI projects are a bit like this. They are complex, expensive, and often fail to deliver on the user expectations. When business people work with specialist IT people, there is an enormous communication overhead between them. I have seen plenty of great people in IT and in commercial roles, and they almost always want the same thing – a great outcome for the business. But the problem is that people are different; especially IT and commercial people are often very different. There is a very good reason why some people are successful working in Sales and other people are successful working as a programmer. The skill set between these people are fundamentally different. So it is inevitable that when these people work together on a project, there will be misunderstandings, mistakes and rework. All of this comes at a cost of time and money, and in the fast paced business world some things are just not viable if they have to go through this cycle. Unfortunately in traditional BI projects, there is no choice but for IT people to work for commercial people, because the technical side of the projects are so complex that there is no other way. Business people will always have things that are a priority to them but are subordinate to the greater needs of the business/others/competing departments etc. So when a business person says “I need ABC report to analyse this business opportunity by no later than XYZ”, sometimes/often the timeline simply can’t be met or the cost of doing so is prohibitive. In a world of competing business priorities, successful business people find ways to get the important things done – they don’t sit around discussing why things could not be done due to lack of resources, competing priorities etc. I think about Excel as being the Swiss Army Knife of business. Excel is one of those universal tools that allows any business person to get on with important priorities without having to call in IT to do the work. In fact in my experience IT people know very little about Excel – the skill is all with the business users. Excel can be learnt and used by almost anyone for any purpose, and often the cost/benefit ratio is completely unsurpassed by any alternative (eg long slow expensive IT lead BI project) to the point where it is not worth taking your Excel built solution to the next level. In a world of rapidly changing business challenges, it is the speed to value that counts. If you can’t turn around the analysis quickly and affordably, then the opportunity will most likely simply pass you by. Rob Collie uses the term “Modern Excel” to describe the new features that Excel has delivered over the last 5 or so years. These new capabilities include Power Pivot, Power Query, but also the evolution of Pivot Tables, Slicers and into the future will include the still developing tools like Power Map, Power View etc. 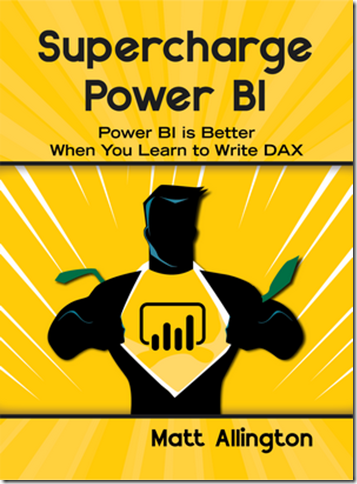 There is no other BI tool that can deliver a speed to value ratio that Modern Excel can deliver. If you want to take advantage of Modern Excel, you will definitely need to learn some new skills such as how to write DAX, or you may have to bring in some people for a short period of time to break the back of the work to get you going, but these are small one off investments that have immediate payback in a rapidly changing business environment. Once you have these new skills dialled up, you will deliver speed to value like never before. Matt, You have this deep understanding of what works in the business world, and you come from this world. Why is it then, do you think, that the vast majority of companies in the world do not have personnel that possess the same understanding as you do about Excel? Good question. Firstly I think there are a lot of very capable Excel people out there in the business world. I think more of the Excel Experts live in the Finance world than anywhere else, but that is because of the practice opportunity (see more about this below). But to answer your question, I think there are 2 conditions needed to become an Excel Expert. Condition 1: Personal Make up. I mentioned above that people coming from Sales are very different to (say) MDX programmers, and this is true. In reality though it is a continuum of skills and passions. So a Sales person on the left hand extreme of the continuum is very different to an MDX programmer on the right. In fact I think the continuum projects across more than these 2 roles. You can put Programmers, System Analysts, Business Analysts, Key Users, General Users, Sales, Strategists all on the same continuum. In my case I am probably on the cusp of Business/IT and could have gone either way. Condition 2: Opportunity to learn and practice. If you work in the business and you have all the IT systems you need to do your job, then you hardly have an opportunity to get your hands dirty in Excel. If you want to be very good at Excel, you have to use it a lot over lots of different problem areas. That suggests there has to be some shortfall in dedicated IT tools to do the job. So if you have both of these conditions, you then have capability and opportunity which over time will lead to someone who becomes a deep expert. Now I was not a particularly good Sales person in my early career and I certainly don’t have the “natural selling skills” that many of my colleagues had. But what I lacked in natural selling ability, I more than made up for in numeracy, data gathering, analysis and presentation. I could run rings around anyone else in the data space simply because I could get the data I needed myself while everyone else was reliant on what IT gave them (read shortfall in what I had). So anywhere you find someone of the right raw make up and 30 years of opportunity to hone their skills (where they couldn’t get what they needed from IT), you will end up with an Excel expert.